Four Ford Chip Ganassi Racing Ford GTs will compete at Le Mans in June, 50 years from Ford’s GT40 1-2-3 finish in 1966. The new Ford GTs will run numbers 66, 67, 68 and 69, to commemorate Ford’s 1966-1969 outright wins. 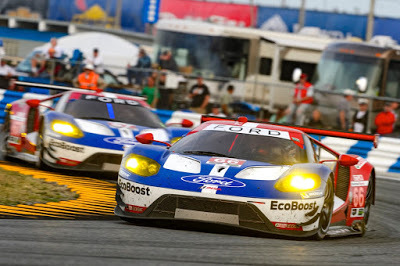 The organizers of the Le Mans 24 Hours, the ACO (Automobile Club de l’Ouest), today confirmed that all four Ford GTs have received a place on the prestigious entry list for the 2016 Le Mans 24 Hours. All four Ford Chip Ganassi Racing Ford GTs will compete for GTE Pro class glory at the world’s greatest motor race, which takes place on June 18-19. 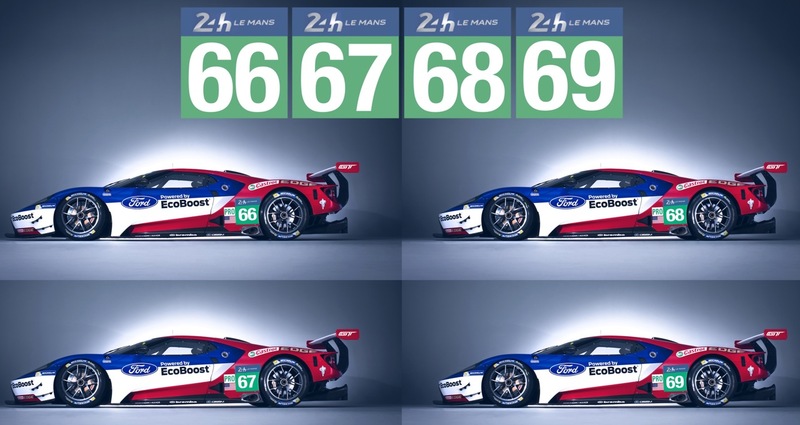 The #66 and #67 Ford Chip Ganassi GTs that run in the FIA World Endurance Championship will keep their race numbers for Le Mans. The two Ford GTs that run in the IMSA WeatherTechSportsCar Championship will receive new race numbers just for Le Mans: #66 becomes #68 and #67 becomes #69.